Hello, hello, hello. I was organizing my nail polishes and decide to post up my three favorite polishes to wear during the summer. I love summer as an excuse to wear bright color anything! The color in this photo is slightly washed out. I’d describe it as a light to medium pea green color. I love Xtreme Wear polish! Also this was only one coat. I find it takes a while to dry but once it’s fully dried. Your manicure will last a long time. 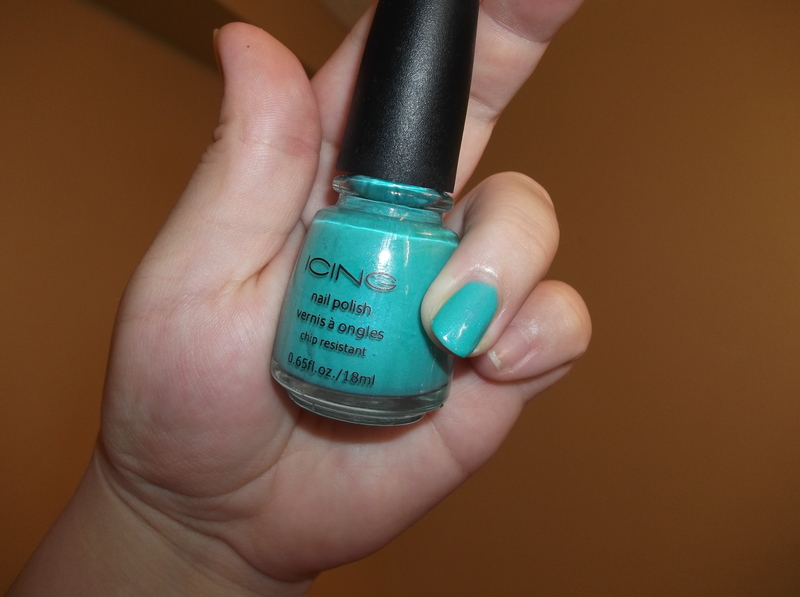 A medium turquoise with slight shimmer. Takes about two to three coats for full coverage. A bright fuchsia. Applies very smoothly. Two coats are enough and it drys fairly quickly. What are your favorite bright summer polishes? Do you go for something completely different? Now I’m off for a shower and paint my toes-ies. ooh I love those bright colors! My favorite is the green!